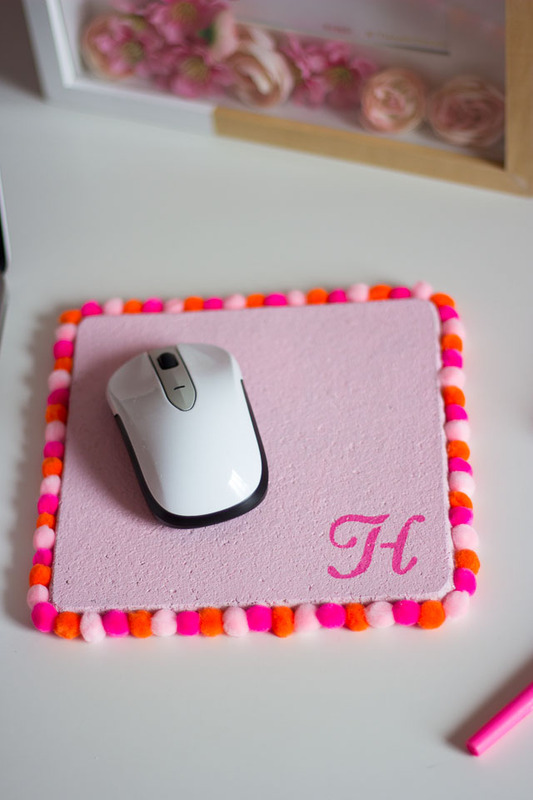 Because everyone needs their own pom pom mouse pad, right?! 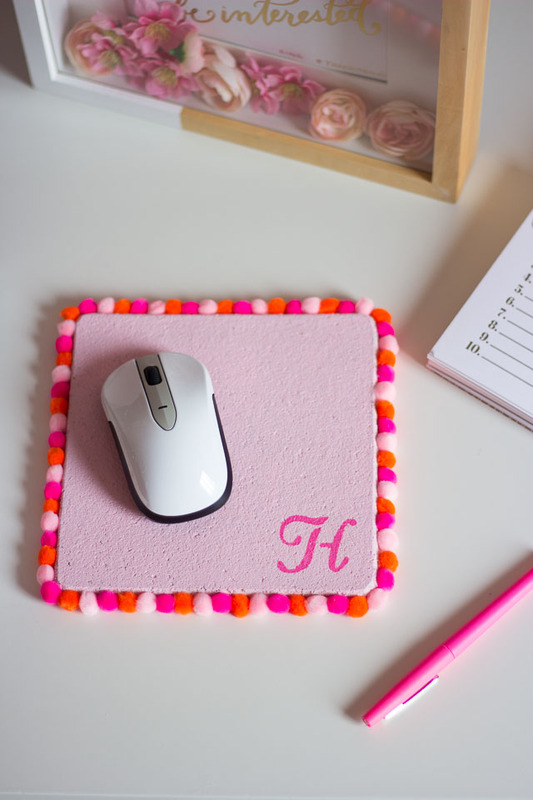 I’m always on the hunt for more ways to use one of my favorite crafting supplies, and I came up with these colorful mouse pads to make as gifts. I made several for friends over the holidays, and of course had to make one for my desk too! This craft is for all you fellow pom pom lovers out there. All you need is a cork trivet (yep, a trivet!) and pom poms in your favorite colors. Let’s get started! 1. 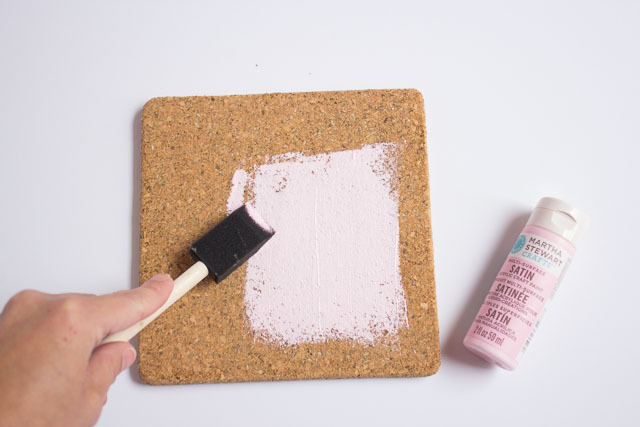 Cover the top and sides of your trivet with 2-3 coats of paint, letting dry between coats. 2. 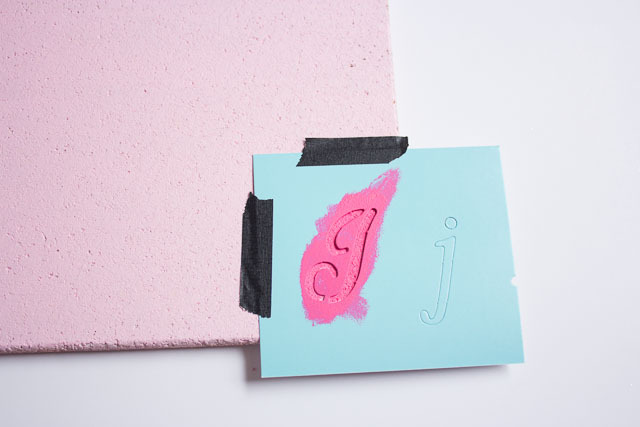 Use a second color of paint and a letter stencil to add your initial or monogram. I positioned mine in the bottom corner of my mouse pad. I taped it down with masking tape and used a small amount of paint on my foam brush with an up and down blotting motion. 3. 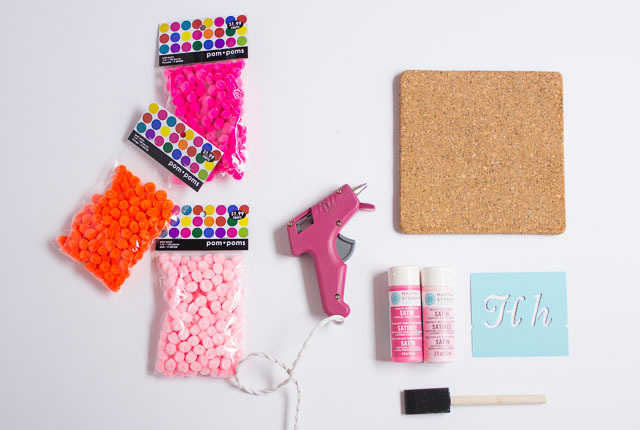 Warm up your glue gun and run a bead of glue along the side of your mouse pad, about an inch or so at a time. 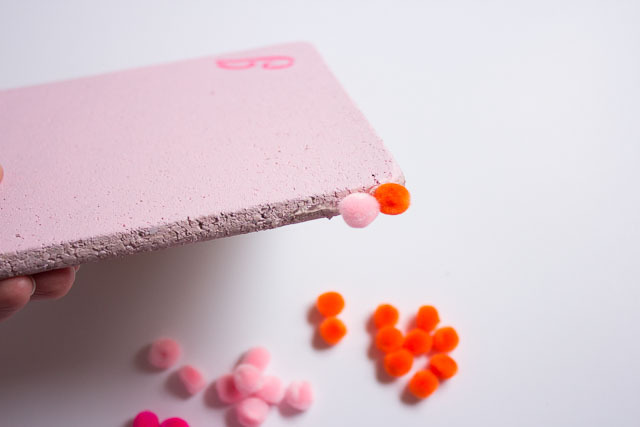 Stick in your pom poms while the glue is still hot, and use the glue sparingly so it doesn’t ooze out of the sides. You can use your finger nail to scrape off any oozing glue if needed (just don’t burn yourself!). 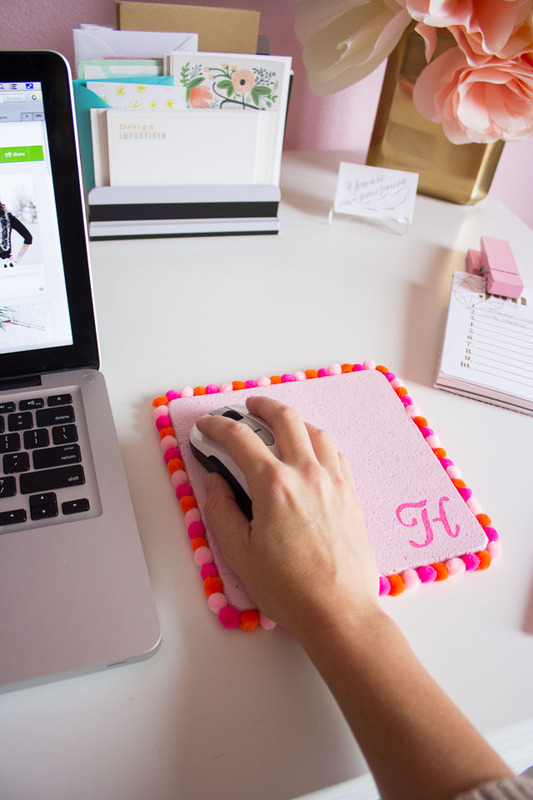 Work your way around the mouse pad and you’re done! P.S. 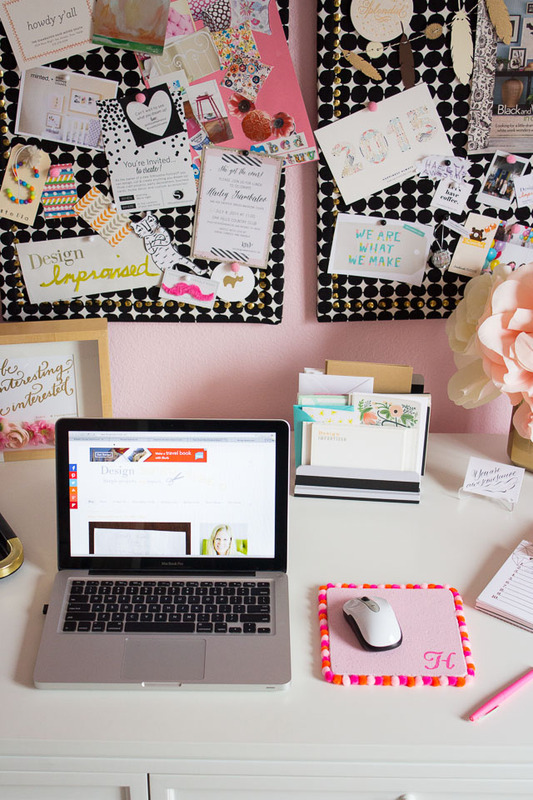 Check out my pom pom shadow boxes for another fun decor idea for your office space! 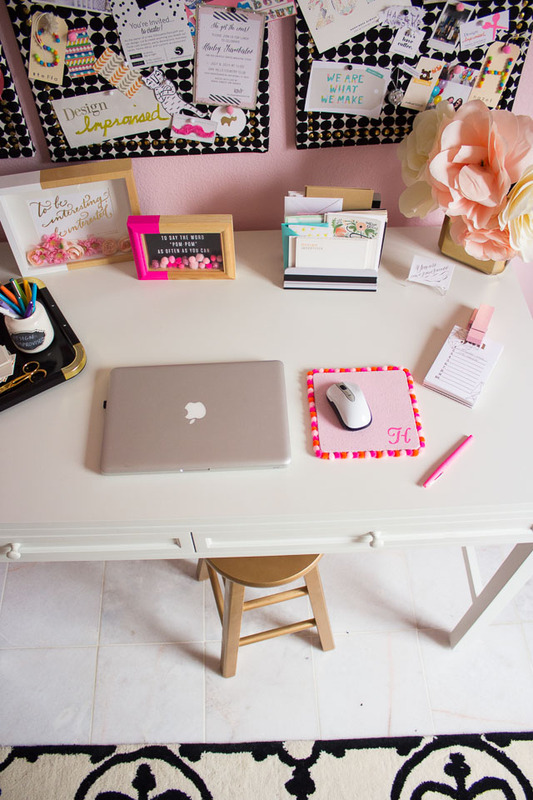 Want to see more of my office – check it out here.